21-year old Walter Ramirez (97) put on an extraordinary performance in the last round for Amatitlan and receives a Interperformances Liga Metropolitana Player of the Week award for round 18. He had the game-high 29 points adding three rebounds and five assists for Amatitlan in his team's victory, helping them to beat URL (#9, 1-5) 91-85. Amatitlan maintains the 4th position in Guatemalan Liga Metropolitana. They would have been even better if they hadn't lost a few games earlier this season. Amatitlan will need more victories to improve their 5-3 record. It's Ramirez's second year at Amatitlan and it's hard to imagine this team without him. Ramirez has impressive league stats. 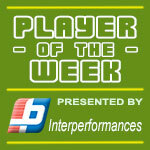 He is in league's top in points (4th best: 20.9ppg) and averages solid 54.2% FGP and 45.2% from behind 3-point line. Second best performed player last round was David Goddard (185-G-89). He is naturalized American guard in his first season at Amatitlan. In the last game Goddard recorded impressive double-double of 29 points and 12 rebounds. 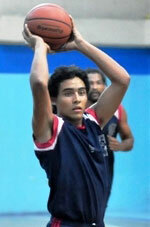 It was enough for Amatitlan to edge the lower-ranked URL (#9, 1-5) by 6 points 91-85. Amatitlan's 4th position in the standings has not changed. His team's 5-3 record is not bad at all. Goddard is a newcomer at Amatitlan and quickly became one of team's most reliable players. He belongs to the best scorers in the league with 24.1ppg (#2). His other stats are also decent: 6.6rpg and 4.6apg. Third place about best performers goes to swingman Miguel Gonzalez (187-G/F-90) of league's second-best USAC. Gonzalez showcased his all-around game by recording 17 points, seven rebounds and eight assists in the last round. 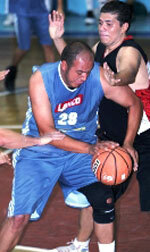 He was a key player of USAC, leading his team to a 85-52 easy win against the lower-ranked URL (#9, 1-5). USAC started extremely well this year. They recorded 6 victories without losing a single game. Gonzalez turns to be one of the very best players in the league while he is also a leader of the top team having his eyes on the championship title. Gonzalez has a great season in Guatemala. After only 4 games, he made it on the list of the league's leaders in points with 21.5ppg (3rd best), rebounds with 9.5rpg (3rd best) and assists with 4.0apg (5th best).